Tenfold digs deep into all your business history and aggregates all data, including sales, service, and marketing, into a unified view that users can access in real time. All contact points and interactions with your customers are captured, such as business call, email, text, and chat and you don’t have to put in the manual labor. "The perfect way to log your calls"
The ability to quickly log calls and view previews notes without any major problems. Compared to other call management systems, Tenfold exceeds expectation with an easy to use interface that can do so much in such little screenspace. It can be glitchy once in awhile. But the support makes up for that. They are quick and always contact you directly in case of anything. I wish you could name the tasks better when created using the magic words. Definitely give it a try, it can really help deliver better results on a sales and service level. Their support is awesome and the software is updated very regularly with very minimal downtime. The ability to log calls and create tasks on Salesforce is instantaneous. Productivity has increased, and quality of calls, orders, and opportunities has improved. The ability to create tasks with certain magic words is really cool and easy. "Great tool for Salesforce call logging"
The only solution for entering Salesforce calls that doesn't feel like a chore. Occasional issues with call timer, less than once a month. Make sure you have a clear understanding of you phones integration and capabilities and how those capabilities interact with Tenfold. We had to change some settings around to get Tenfold to work. The final setting that we couldn't fix is the cause of the ghost calls listed as my con. Even with these hiccups, this has been the easiest software I've ever had to implement. I've tried multiple phone systems Salesforce integrations, and none of them work nearly as well as Tenfold. Tenfold is the only one that doesn't force you to constantly open Salesforce to enter notes. Tenfold makes it take no extra time to log Salesforce calls. Incredibly useful for making sure Salesforce is used as a tool, rather than an extra task. We also use Tenfold to display live call metrics on a TV scoreboard for the sales department. We now have more information logged for all customers and improved follow up. What Other Customer Service solution do you use? "A very convenient and helpful tool for sales"
I can record details about my phone conversation, which are linked to my Salesforce. This makes it so easy to organize my calls and conversations with my customers. I also love how every call is broken down to show the duration, who called who, and which calls were successfully connected. This helps me track my progress. Occasionally Tenfold glitches and does not work correctly, but the Tenfold customer service usually fixes that issue quite swiftly. When it glitches, calls from previous days pop up when I am on a different call. Tenfold is the easiest tool to record conversations, and it links directly to your Salesforce. If you are a sales person, you need to get Tenfold- you won't regret it! I am able to easily reference my old conversations to keep track of possible leads, as well as just remember details about my customer. Remembering details and old conversations makes my customer feel important, and that helps increase sales. "Tenfold is your one-stop for all your customer information." Tenfold has been a game changer for how I do business. All the information I need to decide who to call next is at my finger tips. The reports I am able to run on my book of business make decision making easy for me as I plan out my plan of attack for the day. I love how I am able to build out the businesses to include as many contacts or opportunities as I am able to find! I have yet to find something I dislike about Tenfold. Whenever there is a need that arises, our team is able to morph the software into what fits best for us. Tenfold is how I strategically plan out my quarter and the benefits are great when you consider how much is able to be streamlined through the program. I can't say enough for the efficiency gained. "Making your phone calls productive!" I like tenfold, because it keeps track of your calls. With tenfold I am able to see who is making the most calls and has the most answers and talk time. This shows how productive we are and which salesmen are out preforming others. Also Tenfold allows you to click to dial and pulls your contacts information through your CRM. I dislike that is doesn't include calls make from dialing in the phone number through the phone number, and it also counts double calls (calling right after calling) as 2 calls. This make the conversions look smaller than they actually are. If you want to motivate your sales team to make more cold calls and actually talk to prospects get Tenfold. You'll be able to monitor your team's work and get them to do more than they usually do, because it encourages competition to get the most calls in a day! With tenfold, i am able to motivate myself to make the most calls to spread awareness of our company. This also allows our sale team to sell more, because we see other people working harder! This is a simple way to make your sales team more produtive. All it takes is one click to make a call, and when they do it you can keep track of who is making the most calls, engaging in actual conversation and has the most talk time. It can sometime be off, when it comes to updates. Tenfold often interferes with Skype when clicking a phone number prompting Skype to open up. This can get very annoying at times and may require Skype to be removed from the computer. If you want to make dialing faster and keep track of daily calls, then Tenfold is what you need get. It also encourages friendly competition between sale staff. With Tenfold, we are encouraging a friendly competition between sales staff to see who can make the most calls. We are also able to see the performance of each sales staff, because not all calls will answer. We are able to see which salesmen are engaging with a client. "A Key Tool for Sales organization"
This software is essential to my day-to-day sales functions. It automatically populates the contact’s name for an incoming/outgoing call if the number is in the system. Call notes appear easily to remind you of previous conversations with clients, which in turn, causes you to follow up on any outstanding opportunies. Tracking the amount of our calls to each account and the duration of those calls helps us to easily analyze which clients aren’t being targeting enough. Tenfold’s customer service is fantastic. If we’re having an issue, there is always someone available to assist. Click to call works more often than not, but every now and then the system crashes. The floating UI doesn’t always pop out. This enables us to accurately measure calls going in and out of our books of business. Being able to track calls and to link them to logged opportunities in Salesforce holds our salespeople accountable and enables more transparency on the sales floor. When receiving a call from a client that the system recognizes, it automatically associates it from previous calls etc. and you can view the notes from the last few conversations you had- to help jog your memory. Very useful and saves me time so I don't to go back looking through my notes. Furthermore, it's very compatible with Salesforce which we use a lot. It can occasionally crash especially with the click to dial feature but other than that maybe perhaps a suggestion would to be to associate the area code with where they're calling from- a region, state, or time zone for example to help even further associate my memory of the client calling and what it's in regards too. Time is of the essence, I can get swamped with things throughout the day and having the tenfold box there to keep concise, detailed notes of my client conversations and help prepare me to incoming calls makes my life so much easier, allowing for more productivity and less headaches. Time is money in sales. Tenfold is an extremely reliable software that I rely on throughout my work day. It's shortcuts allows me to work through my day without any interruptions. I am able to take notes while on a call with my clients, linking them to project opportunities that I am currently working on. If I am on the phone for a majority of my day, I am able to backtrack throughout my call history to link the calls to my clients. It is an easy system that is crucial to our teams success. Nothing, I am impressed with the many capabilities of Tenfold compared to what I have used in previous sales roles. Tenfold has allowed me to be more organized, so my calls with clients are much more meaningful. We are able to review our call metrics, to make sure we are meeting/exceeding expectations. I am very happy with Tenfold. The best part is easily one of the simplest features, the ability to immediately identify exactly whom is ringing the phone. The second best thing would be the level of service they provide their clients. I am always able to immediately get a hold of Tenfold with any questions or concerns! Tenfold has been beyond helpful to our company and our personalized needs. I do not have a lot of negative to say in regards to this solution. It has a very robust feature set that can be daunting to new users and small organizations, but leveraging the support team and your account manager should help navigate any difficulties. I recommend at least experiencing a demo of the software and its capabilities. The software has a large feature set and it just may have something you have been looking for but didn't realize. We have leveraged this software in ways that we originally did not foresee. If you don't see a feature that you would want, they are always open to suggestions and they have an amazing development team. When we first started with TenFold (Callinize at the time) they customized their platform to accommodate our needs. You won't find that level of support just about anywhere in the industry! Tenfold has easily increased my employee's efficiency and sanity! Being able to identify the person ringing in lets you easily prepare the procedure needed, whether it be forwarding them, answering the call or sending them to voicemail. Also, the integration with Tenfold and my CRM allows my Sales Reps to easily log and note important information directly from the call pop-up window which saves a ton of time navigating complicated CRM screens. I like the in depth analysis on call performance. Each call is broken down to highlight the minutes and length of every conversation. You're able to track your consistency from day to day which allows you to create a very timely approach to attack each day. We've had the system get disrupted a few times doubling our talk time and calls per day. It creates a lot of turmoil is the office when certain sales rep believe they're behind or far ahead in the day. If you're operating in a space where you are concerned about how many customers you're targeting in the day or would like to see the analytic portion behind how successful the company is doing at the moment, Tenfold will do that for you. I believe we could go a step further and tell us the penetration % of how successful are calls are. I attribute success with the amount of time I can keep a customer on the phone. Generally, when they stay on, you can find ways to pitch your product in a way that does not come off to sales-ish. We like to take the approach of Law of Averages. The more customers you can talk to and dial, the most successful you will be in conversion. It allows me to track long conversation which I appreciate. If a customer is willing to be on the phone with you for longer than the average call per day, the chance of conversion is higher. "An excellent product for managing calls"
The ability to integrate our calling platform directly into Salesforce is extremely helpful. In addition, the ability to call most numbers from any browser window ensures that calls can always be made quickly using the product. If you work in an office, call counts (plus inbound vs outbound), and call duration, can all be tracked and compared against co-workers, and this allows work to be far more quantifiable. Lastly, the product is extremely versatile and feature rich, so that each person can use it how they see fit. Notes, (which will be automatically entered into Saleforce's task data) can be made during a call, however if the comments are too long for the 'call notes' they roll over into the 'comments' section, with no indication that that is where there have gone. Ideally, when this happens, either the first part of the note should remain in the 'call notes' section, OR a note indicating that the notes have been moved to the 'comments' section would be helpful. (e.g. See comments for full notes). If you are using Salesforce, and are making multiple calls, this is an excellent tool for integrating and tracking calls, as has some great features which trigger actions within Salesforce related to task and event follow-up. The most immediately benefit is the click to dial feature, allowing calls to be made without leaving the Salesforce platform. In addition, the ability to track and review call volume is helpful in assessing long term productivity. We use Tenfold in conjunction with Salesforce to help speed up the rate of calls that agents can make. By using Tenfold to not only does it allow us to leave notes quick but wraps the call and ends the task allowing for a smooth transition from one call to another. not much of a dislike but an intentional limit for what is considered a connected call and what is not doesn't always show a true connection. Some calls are so short that they are not picked up by the system. This leads to a misunderstanding of when a peak hours are. To test it out. It really makes the difference in the amount of work that can be done. Tenfold solves the issue of quality of quantity. Being able to stay up to date on the latest trend and have it organized to be easily understood makes it a fantastic product. I absolutely love being able to take notes during calls with my clients. It's absolutely essentially for me to remember what's needed during these conversations with my interior designers, so it's so helpful to be able to note everything being discussed while in the call. I also love that we can schedule follow up's right within a call to add to Salesforce immediately. Tenfold has made my job so much easier and time efficient! My job is also measured by call metrics so Tenfold allows my calls and my work to be easily logged to track my performance. I don't have any complaints of the product thus far. I guess the only thing would be if the site is down we could still retrieve the calls that made for production metric purposes but all in all, I think it's wonderful! From a solving problems standpoint, we are able to store data that we use daily with our business clients. I have realized it is incredibly difficult to have one area to store all information and it's hard to stay organized when so many platforms are used, however, Tenfold makes it easy especially for all conversation/client discussions to be logged within our Salesforce. "A Great Tool For Work"
My favorite part of tenfold is the simplicity. It is super easy to use and the tool is very dependent. The tool takes little to no training to use, and it makes my job a lot easier. It also allows you to set reminders and follow up tasks. Sometimes they are updating the product and we are not able to use it during that time period I would like to see them change the update times to hour that people tend to not be working. I would recommend using the follow up feature and really getting the full use out of tenfold as it is a great tool to help make your job easier if you let it. The problems it helps me solve with my job is keeping track of conversations we have with our customers allowing us to be reminded of what we have already talked about and what we still need to do. It is easy to log calls with and keeps my calls organized. It knows who is calling me and informs me like a caller ID so that I can prepare to answer the phone for whoever is calling. It pops up sometimes when I don't need it to and I end up clicking on the bar instead of what I was trying to click on the website I am on. Tenfold is a great tool that I use all day everyday at my job here at Wayfair. It is helping me keep all of my calls organized when I talk to the same person time and time again. That is one of my favorite things about it. 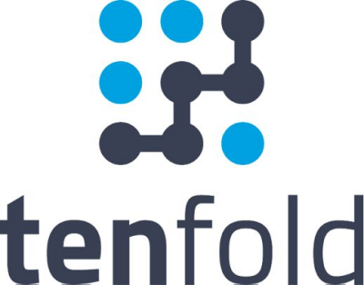 "Tenfold - I get the name now"
We use Tenfold with Salesforce and a Polycom phone system. I appreciate the time I save using the system and the contact information that is displayed when the caller is recognized by the Tenfold. Because it integrates with Salesforce, I do not have to be concerned that I missed commenting about my interaction with a customer. I depend on Tenfold showing my comments in history so that I can be up to date on my last interaction/next steps before I call my customers. Additionally, I can look back at the tenfold calls and use them to call my customers back right from the screen. I also use it to check and make sure each customer call is commented, and that I did not get too busy and leave something out. Well this is not necessarily a dislike, but I would like it if there was a date and time stamp included with the comments. Also, when I miss a comment, I would like an easy way to see that, so that I can go back to it. This product makes my work life easier, no doubt. Use it. My boss says, "if it is not in Salesforce, it did not happen". Tenfold fixes that and it expedites my One on One's with my manager because we can cover what I have done (because it is there) and I do not have to explain why I do not have any activity in Salesforce. My favorite function of Tenfold has been the ability to determine how many quality connections we make and what time of day seem to be the most successful. Before Tenfold we were using the standard system offered by Shoretel and we found it was missing tons of data so this has been revolutionary for our data tracking! The only thing we have an issue with is being able to make the call outcome populate as the title of the activity in our Salesforce org as opposed to a section of the note becoming the title. Otherwise we have really enjoyed the use of this platform. This is great for a busy call center! I highly recommend it! We use Tenfold with our Shoretel phone system to track all of our calls and it has been a huge help determining how many calls we make, take, and the length of time on each call. This is something we have needed for years and it is excellent! The Tenfold dashboard provides an excellent real time view of my sales team's production by hour and connection percentage, both at a high level and granular views. My team enjoys the Dashboard's lighthearted terms for high performers (Overclocker= most phone time, Good Sumaritan = most call notes) and it encourages healthy competition. UI can lag infrequently. I would like to see more customized views on the Dashboard in the future. Tenfold reps and engineers are extremely cpaable and resposive. They are always willing to help implement new ideas and customize to your business needs. We have been able to implement, improve and track Sales actitivities, vastly increasing our ability to correlate production with sales performance. "Great tools for sales and logging customer info"
Logging notes that attach to calls, opportunities in sales force, or specific accounts is easy. All of my calls track time on the phone, time of call, and date. Dialing a number can be slow at times and lag. Tenfold customer support is usually on the ball and fixes the issue promptly. Customer information could be organized in a better way where you can view all communication with them on one panel. I would definitely give Tenfold my business again. Keeping all of my call notes organized in one place. Being able to see what I've previously discussed with customers so the next call is much better. Going to the tenfold dashboard at the end of my day to view call notes is very beneficial. "Why we chose Tenfold and why it's so good!" It looks cool with Salesforce lightning. Me, nothing, but my team like it so much they start expecting it to do everything for them. Tenfold works with the multiple platforms, PC and Mac. It also integrates with different CRM systems. For Salesforce, whether classic or Lightning experience, there is good integration and support. Its providing benefits in 2 camps. Firstly for me as the IT director, I'm responsible for joining multiple systems and people together. Essentially we are using a combination of Apple Mac, Windows PC, Salesforce Lightning, Polycom handset and Google chrome browser to automate the call logging process for a busy sales team. Making all that work together is nearly impossible, but Tenfold glued it all together. Support is great, too. Having a community to support this is important. "Great tool for tracking calls!" Love the click to dial feature! It makes it quick and easy to make lots of calls all day long! The tracking abilities makes it easy to manage our internal data. On occasion, the notifications can be a little disruptive. This is a minor inconvenience and can be disabled fairly quickly. Give it a try! The implementation is seamless and the customer support is second to none. Sales is a contact sport - and Tenfold helps us make the most of our time by enabling us to call out quickly with the Click to Dial feature. Efficiency is key. "Couldn't do my job without it!" Tenfold is used in our B2B department. Tenfold is being use with our CRM, Salesforce, to allow us to log calls more efficiently. It is used to help us dial out to our customers quickly and efficiently with the click to dial feature. We are also able to record our findings from each call. Using Tenfold for our sales department we display live call metrics on projection scoreboard, which helps to create a fun, competitive, productive work environment. -Pop up UI will disappear randomly in middle of notes. -Incoming calls on the ID will interfere with call already currently connected. "Increased productivity by 50% "
Tenfold has allowed our sales team to remain in a state of flow when making calls. Before, the fragmentation of call flow due to having to manually log details of the call in a separate screen would not only take time away from more outbound calls but seriously hurt the focus that is so critical for our sales team to stay "on" for our customers and prospects at all times. Tenfold is constantly ahead of the game with iterations to improve the product. Just as I start noticing something that could be different or improved, next time I realize, it is usually already resolved. The Tenfold team is constantly asking for feedback and really care about their clients. Increasing sales force productivity. Increase automation in tedious SF tasks. "One of the best cloud phone platforms out there"
Easy integration into our Office 365 suite. Simple interface. Easy to use. IPhone app is functional. Texting. Group chat. Caller ID. All these things are more important than you'd imagine. We used to use 3CX which was very reliable on the desktop. But unfortunately the iPhone App was buggy, it was difficult to integrate to almost everything, and their updates weren't very forward-thinking. I've already mentioned to them that I wish there was a faster click-to-call function which they're working on. Also there seems to be a constant connectivity and service issues. I don't think it's Dialpad's problem, but some of the older staff at our company seems to think so. Faster click to call. Connectivity issues. All our information is organized to help us make decisions faster. Click-to-dial feature works very reliably and integrates well with our CRM, Salesforce. Tool also identifies phone numbers from other sources and allows easy click-to-dial functionality across several platforms. Call notes integrate well with CRM, and Tenfold's website allows us to track calls daily on a user-by-user basis. Occasionally cuts off call notes or application fails to integrate with phone. Issues are resolved upon computer restart. The Tenfold system is very user-friendly and logs calls in a very good fashion. It is easy to make custom/manual logs which is very helpful for my role. The system also helps when it comes to selecting the right lead/contact/opportunity/account for logging activity. Another great thing is that the system helps you work against your own self, by providing useful data and metrics. The tenfold support team is polite and effective too! The system also helps you log your notes and it is efficient b/c you can stay within the Tenfold app, or extension while working on other tasks. I really like the system. There's nothing that I would "dislike" in particular. "effective tool, to assist with organization and information with Salesforce "
"Gamification" of reporting in a team environment adds a nice reward and competition system. Easy reporting and history. When you click, it dials. its not complex and almost no one at my company uses all the features to their fullest extent. "Tenfold Knows Time is Money"
Tenfold, the most convenient, time-saving, easy to use, software. Predominantly the click to dial feature tool is what will save you the most time. Just one click and you're a couple seconds away from reaching your client. Alongside the fact that, I can integrate the platform to Salesforce impacts my company's success. Tenfold simplifies the process of having a call-center in every aspect. Not much of to write here, the only thing is it logs me off here and there once in a while but just one click away from logging back in. I would recommend this tenfold to other companies they will not regret it. Time. Time is of the essences when you're working in a call center, customer service, and/or consulting with multiple clients throughout the day. It simplifies the process from beginning to end of a phone call. One click away from reaching out to your client, in the middle of the call, you can take notes as needed, and it records the duration of the call, so you'll have a history and can always refer back to them. "Tenfold was a great decision. " When goals are measured they can be reached. As simple as that. The fact that we can track how many sales calls we are making, how many customers are calling us, and the fact that we can record all of our notes on our CRM with Tenfold has been a massive hep. The only slight complaint I have is that sometimes I have to click a phone number multiple times before it call. This happens very rarely. Help your reps measure their work efforts. Being able to track all of our calls and record notes for every client is huge. We never leave the next sales rep up with out the best info we can offer them. "Tenfold Saves our Sales Team Countless Hours!" I have used Tenfold for 2 years and love it. It has made my daily tasks more efficient and saves me at least an hour a day. The easy to use pop out feature makes note taking for calls quick and automatically syncs to SF which allows me to make more dials which equals more sales. Another nice feature is the click to dial which allows my phone to automatically dial the number also saving me time and making follow up a snap. I highly recommend Tenfold if you make calls in your line of work as it has not only helped our sales department but also trainers and support. They will not only save you time but make you more money! I love everything about this program. The only issue is sometimes the pop out feature does not work. Time. Our sales team alone has saved hundreds of hours this year by using this tool. It not only makes us more efficient but makes sure we don't miss a follow up. UI and UX are very important to me in day to day operations of a product. The tenfold pop up has exactly what it needs to have, no more, no less. The popup pops up almost instantly. The reporting and gamification dashboard is easy to use as well! It's great that we can launch right into Opportunities from the plugin and right into the Contact or Account in Salesforce. From a reporting standpoint, there is sometimes a discrepancy between the # of minutes on the physical handset, the tenfold pop up and the data that is in Salesforce. I wish that were was a manager override button that I could input a call with a specific call length so it feeds into Tenfold and Salesforce. It’d be great if there was a snooze function, where the pop up wouldn’t pop up for a given time in the event one of my reps need to focus on another task at hand. It would be great if the Opportunities module lived inside the Tenfold plugin so that could quickly be inputted in while a rep is on a call. We needed a great platform to record and track all of our calls in a non invasive and easy solution, Tenfold definitely solves for this issue. "Tenfold has helped me organize my daily phone calls which makes it easier to follow up. " I like how every incoming or outgoing call automatically syncs up with my contacts; even providing a way to connect on LinkedIN with the person I am talking to. There really is nothing that I dislike about Tenfold as of yet. I have not had any technical issues, and it seems to save all the information I input. So far my Tenfold has been seamless. I fully recommend Tenfold; it's ability to organize and categorize each phone call can really help you stay successful. My job depends on me staying in front of sales reps and remembering previous conversations. Tenfold helps with: organiation, follow up, categorizing contacts, linking with current deals. My favorite feature of Tenfold is that I can not only log a call with a customer, but I can log each call with individuals deals. I work with a many reps and have several deals with each rep, this allows me to archive my conversation for a specific deal. I really like the user friendly gadget that rests on top of my webpage. It helps remind me to log my calls if I end up getting busy, and take back to back calls, I also like that Tenfold auto relates the number with the account or prospect as long as the number the contact is calling from is in our CRM. Tenfold saves me a lot of time through out my work day. From time to time the call timer will get stuck and continue counting time. When this happens the call registers as a 00s call which affects my overall call time for the day. I also do not like that unknown calls do not register. I have been able to increase the overall call times for my team by 100%. I have also increased the percentage of calls logged which is so important. Although there are a couple of things that I dont like - the overall rating I would give Tenfold is a 7 of 10. The click to dial feature, integrated with SalesForce and Google calendar is very useful. Huge time saver! I also like that I can insert a comment in the "box" that pops out from the side of the screen. This saves me from having to enter it in my CRM. I also love the Tenfold Dashboard, I need to make a certain number of calls per day and it gives me an exact, real time count and a list of calls I have already made. The dialog box on the right of my screen pops out too often, sometimes blocking text I need to click on. Since I don't pay the bills here I don't know the cost to our organization but people seem to like it. By all means try it and see if you can leverage its features. Call tracking is huge for us and Tenfold certainly solves this. I have been able to calculate the number of calls per sale that I need to make. Very useful metric! "Tenfold is a great tool!" Tenfold is a great platform to connect with a CRM, like SugarCRM for leveraging click-to-dial. It makes life so much easier, allows me to prospect more quickly, and I can add comments directly to the tenfold call popup that will be logged in my CRM. I like being able to see where my call KPI's stand for the day in comparison to my colleagues as well. Tenfold has gotten pretty pricey. It used to be a tool I would recommend to every one of my prospects to use in conjunction with SugarCRM; however, the increase is price deters many prospects now. I suggest they create a "lite" version for prospects who only need a simple click to dial for their voip. It still seems to be the best option for my prospects, but we are on the hunt to find a simple click to dial platform that wont break the bank for customers in the SMB market. The click to dial feature is awesome and worth the price if you are going to leverage the other functionality tenfold has to offer. Tenfold eliminates the need for my to dial phone numbers manually. I can also track my call performance throughout the day and compare it with my colleagues. If I was force to manually dial every person I have to call each day, my performance would be cut in half, at least. This tool eliminates that manual effort. "Great Product, needs a few options"
Please give this product a try. It is definitely worth your time. I have a one person sales team, and that person didn't care much for the product. I tried using it myself, successfully, but I'm on the tech support side, not the sales side, so although I loved the concept, I am not able to get the most out of the product. I have loved that Tenfold automatically pulls up the record based on the phone call. All I have to do is type in my call notes and click save, Tenfold does the rest. "Great system for my job!!" I enjoy that for my day to day job I can go in and track my work and progress and compare it to my teammates each day to see how I am performing. I have noticed recently that whenever I open Tenfold it loads and then about 10 seconds later it reloads again and not that that is a huge issue it is just inconvenient. I have not noticed any business related issues with it. And the benefits are being able to track my daily work and progress and know where I stand each day compared to what I have set my daily goals to be. "I love the functionality Tenfold has with scheduling and follow up tasks"
I love the ability to generate self tasks in our CRM right from the Tenfold pop out panel! If it was one thing, it would be the inability to disconnect from a call after using click to dial in our CRM. Huge time saver when dialing many contacts per day! Click to dial works like a charm! I love the ability to generate self tasks in our CRM right from the Tenfold pop out panel!. Generating self tasks from the pop out panel allows me to keep on top of customers' needs. I have had a positive experience with the Tenfold team. We plan to use Tenfold software as part of our firm build out; it will be an integral part of a new product. Despite changes in the project timelines, the Tenfold team was both accommodating and diligent. It has been a pleasure working with them. I do not have any dislikes thus far. The price is a bit high, but it is comparable with other products in the market. We are solving a gap in product automation. The software allows us to further streamline communications with clients and ensure accurate data entry. Sometimes (rarely now), the software will not log an actual call and you will have to go back in and enter it manually. This saves hours every day not having to specifically dial each phone number. Additionally, note tracking is very simple and I am able to monitor all of my team's calls from one location, going as far as being able to see the specific notes that they took on any given call. All from one portal. "Convenient way to track calls via SalesForce!" The popup feature is great. Allows us to identify inbound & outbound calls with ease. The ability to have preset dispositions would be a major plus. Also, the popup would be great if we can move it around. If you are looking for a call tracking software to integrate with SalesForce, this is a great solution! We are able to better identify inbound Customer Service calls and we are able to keep track of customer interactions. "Rapid Fire Calling Made Painless"
The integration with SF means easier recording of activity, more accountability to reps and clarity between teams. Easy to use interface allows you to look at specific dates and ranges to identify your team's activities, acknowledge top performers, and get insight into the length and quality of calls, rather than just the quantity. No complaints, tool is easy to use and runs in the background. Accountability between teams is key. Knowing that there was a phone call and being able to reference it in SF means less "he said she said" and more time selling. Allows me to check in on my team, ensure that they are calling people within the CRM, engaging in longer meaningful conversations and working towards their targets. Tenfold allows us to appropriately notate our calls not only for each person to know, but also for the next agent to know what we had done on the previous call. Tenfold is a reliable source to track incoming calls and giving companies to track their employees on their call time. Being the main source that my company uses to help track what the employees are doing , it helps the company i work move. Tenfold is a wonderful software to have if your eCommerce company or telemarketing company. But tenfold has their downfalls, as in crashing while your on a call and causing the software not to track what the employee is doing on the phone. Tenfold should work on limit the software crashing while in use. The main business problems tenfold helps my company, by tracking the talk time a employee is spending on the phone or even how many calls the employee has take. This has helped us with being able to provide phone support to clients while being able to keep record for us to review at a later time. "Great tool for Account Management!" Ability to schedule follow-ups while dispositioning the call improves efficiency! Having used other programs for calls, Tenfold stands above with little to no degradation of call quality. Data integration between Salesforce and Tenfold creates a seamless workflow. Limited history is shown when going into 'Recent' on the pop-up window. Having used a different software for calling, I can attest to the above-average performance of Tenfold. Having the ability to work remotely with Tenfold allows for accurate call metrics and reporting. "Tenfold allows you to efficiently track your daily tasks"
I love that Tenfold, not only gives me a constant up to date layout of my daily progress, it also allows me to compare my data with my peers within the organization. Sometimes the software is not accurate with inbound calls that come in. That is a little frustrating when you are trying to trace back a call especially in sales. Make sure when you are evaluating that you are also evaluating the technology you are going to use with ths program and if you would need an update as well. By using Tenfold you can track data of higher volume call times in the office. This allows you to be strategic in organizing your day. * We monitor all Tenfold reviews to prevent fraudulent reviews and keep review quality high. We do not post reviews by company employees or direct competitors. Validated reviews require the user to submit a screenshot of the product containing their user ID, in order to verify a user is an actual user of the product. Hi there! Are you looking to implement a solution like Tenfold?